Comprehensive care: sinus pain, hearing, allergy & snoring. If you keep getting sinus infections and just can’t shake the symptoms, we have good news to share with you! They are very professional and efficient. Dr. Bello took the time to listen and really care about solving my ongoing sinus/ear infection problem. 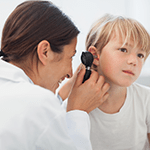 - Nancy S.
If a hearing difficulty limits your quality of life, the Hearing Center at Collier Otolaryngology is here to help. You deserve to sleep well every night! If breathing problems interrupt your sleep (or your bedpartner’s sleep), let us help restore your sweet dreams. My family and I have been seeing Dr. Magardino for a very, very long time. He's amazing. He takes the necessary time to speak to his patients and is very thorough. - Katina B. 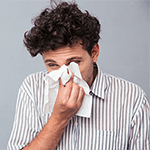 Are you surrounded by things that give you allergy symptoms? We can help you regain your freedom to enjoy a healthy, active lifestyle. I have been Dr. Bello's patient over fifteen years. He has performed my nasal surgeries and helped me breathe better. Always compassionate, professional and courteous. - Kyle B. Get Rid of Snoring Today! Do you seem to have a cold that won’t go away? Have you finally gotten better after antibiotics only to have your symptoms return? You now have an alternative that can give you immediate relief with long-lasting results, available in our Naples office! Try our online hearing test. You can complete it in just a few moments in the privacy of your own home. Find out the degree of your hearing loss, which sounds are hardest for you to hear, and what kind of treatment would be best for you. If you never feel rested when you get up in the morning, doze off easily at your desk, or run out of energy quickly, you may have a sleep disorder. Let us diagnose and treat your specific problem so that you can keep pace and enjoy quality of life again. Feel better and live better with allergy treatment from Collier Otolaryngology. 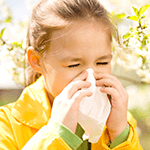 We use allergy testing to identify your specific allergens and develop your personal treatment plan. We even have an exciting NEW method to treat your allergies! Dr. Steven Bello and Dr. Thomas Magardino take a sincere interest in our patients’ needs and use a professional and dedicated approach to their treatment. We welcome patients of all ages, and are here in Naples to offer you and your family comprehensive Ear Nose & Throat care.